Calling all lovers of imagination and whimsy! 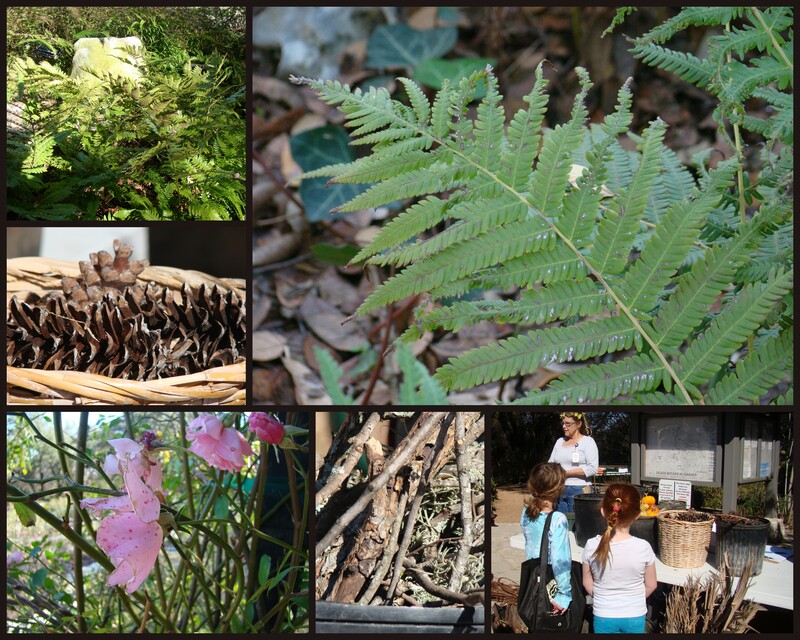 Zilker Botanical Gardens is inviting you to design and build your very own Faerie House and Garden, in Zilker Park! Anyone can enter the competition to build their very own fairy house and garden (and yes, our family is already registered!). The fee is $25 for families and $45 for designers and architects. In return, you get a 4′ by 4′ space to construct your own vision of a fairy dwelling. The rules are simple. You’ll be assigned a space in the garden. You have to construct the dwelling using natural materials gathered from the designated area of the garden, or from your own home or favorite natural spots. You can build a home, add furniture (made of twigs and other natural materials faeries are likely to find, or you can create an entire faerie wonderland with multiple buildings. The choice is up to you and your family! 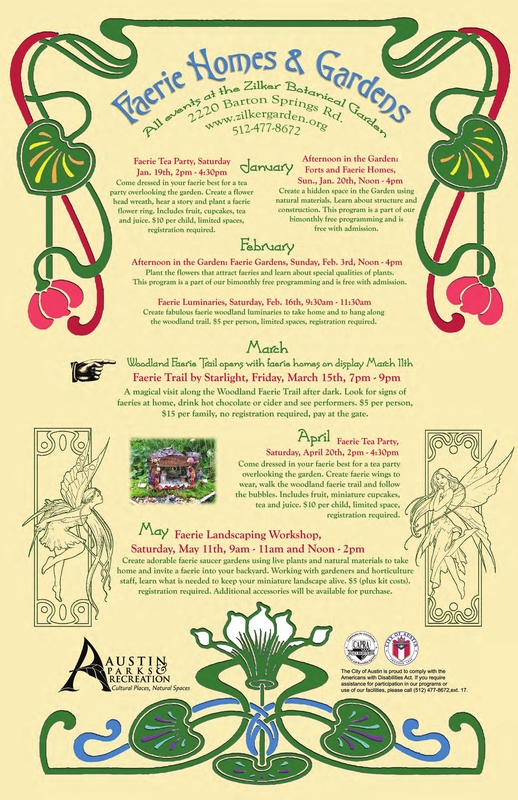 The masterpieces go on display in March (with setup the weekend of March 9th) , and will be in the garden until May. The deadline for registering is February 9th. Download the forms from the Zilker site, then mail or fax in your registration and fee. I was so excited, I’ve already gone to Michael’s to buy a little fairy figure to use as the scale for our creation! And it’s not just me. My daughter started her sketches for the furnishings, and my husband has been brainstorming design ideas to keep our creation true to fairy-lore. This is going to be fun! This entry was posted in A is for Art, F is for Festivals, K is for Kids, O is for Outdoors, W is for Keeping Austin WEIRD and tagged creativity., downtown, faeries, fairy, family, family friendly, outdoors. Bookmark the permalink. ← Citywide Garage Sale is Vintage, Collectible Heaven! I was giddy seeing this. I wish I was closer to Austin, but I will absolutely create a weekend around coming to see these creations! It’s going to be a great event! I am so excited about it that I’ve been carrying around a little notebook to jot down ideas for our part in the festival! It’s great that you’re going to be able to come into town to see it!